This is one painting which was painted in less than 2 hours, A3 size. 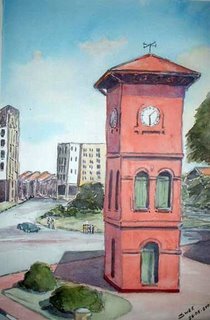 It is a townscape of the Malacca clock tower, near to the Stadhuys Complex in the heart of the historic city. 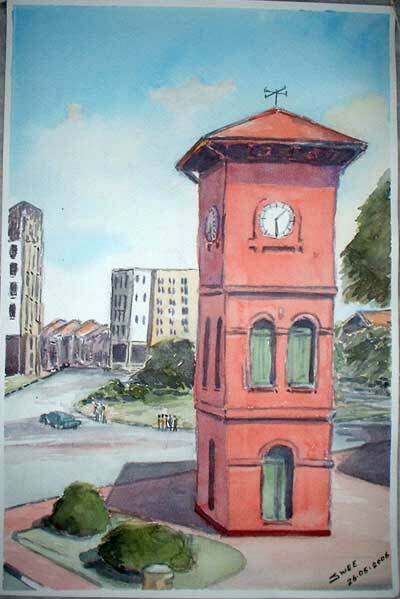 It was drawn out of a postcard. I have always dreaded drawing buildings and painting them. This is no exception. But I am getting the hang of it. It is not tough after all. Is it the craftsman, his tool or his skill?